This lunation wipes the slate clean. We’re just emerging from an intense eclipse season that was on the heels of a long retrograde period going all the way back to the eclipses last summer. Do you feel like you’re coming out of something? The Aquarius New Moon is exact at 1:04pm PST on February 4th at 15 degrees 45 minutes of Aquarius. Aquarius is detached and objective; it knows how to see a situation from the outside, without emotional involvement. The opportunity is to gain perspective on our lives, and perhaps to understand better the past half year. Can you stand as a witness to yourself? Can you see yourself as if from the outside? Can you watch the movement of emotion and thought, without getting caught up in the stream? The risk with Aquarius energy is in becoming too detached--in being cold or distant, in having little compassion or feeling or heart. But the right dosage is good medicine. Aquarius has to do with groups, society, networks, systems; belonging, and exclusion. What are the groups you belong to? What are the groups you wish to belong to? The Leo eclipse may have us more in alignment with our authentic natures. And this can help us to find our people. Forget the people who don’t get you. Seek the ones who do. Many of us hold pain and trauma around being excluded. Some of that pain is from this lifetime; some of it is ancestral; some of it we remember, some of it we do not. Many people and groups of people throughout human history have been banished or ostracized or tortured or killed for their beliefs and ways of life, for being themselves. As patriarchal power took hold, those with individual power to heal, to connect to the divine, to collaborate with Earth and Cosmos, represented great threat to those who wanted to dominate, and were suppressed and killed by them. The conscious or unconscious memory of this leads to detaching from the pain of embodiment; the Aquarian method of escape. Individual instances of exclusion, in some cases, may be echos of ancestral trauma, meant to remind us of patterns that need healing, that need our attention, nudging us to wake up. It seems to me that many of us are waking from lifetimes of slumber and detachment. Waking to the pain so we can heal it. Coming back into our bodies, seeking integration of mind and heart (Aquarius and Leo). Aquarius relates not just to societal systems, but also to nervous systems; and the distinction between the two ought to be blurred: we are not isolated individuals entirely responsible for our situation, our health, our so called successes and failures, as capitalism will have us believe (imbalanced Leo). Nor are we merely the result of context, only at the whim of our society, without any responsibility for ourselves, simply victims of circumstance (imbalanced Aquarius). We are both. We are each embedded in a vast and complex network (society), that impacts us, and that we impact in turn. There is such a thing as personal responsibility and choice and accountability and power and creativity, and context also has an enormous effect, including systemic oppression that inordinately affects certain groups more than others (according to economic status, class, gender, race, and other factors). And our nervous systems are directly tied to our embeddedness in society, our histories of trauma, our particular contexts. And all the more so, as technology (Aquarius) connects us more and more. 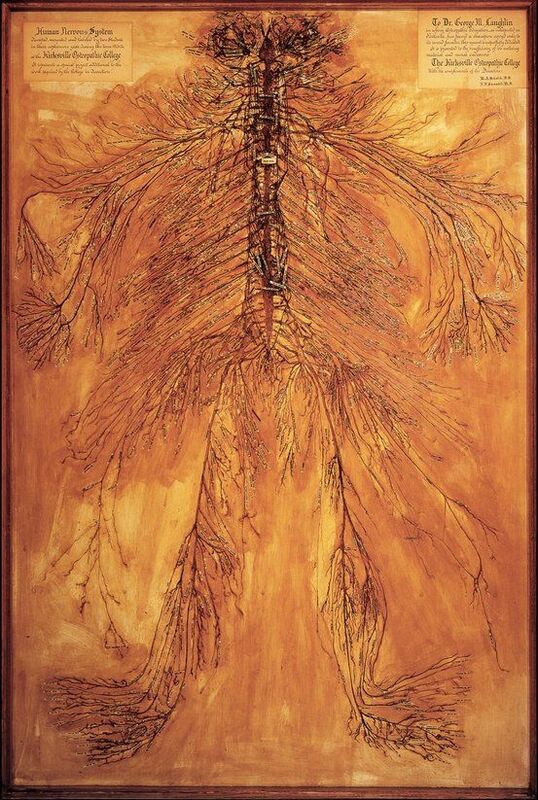 I can only gesture at the implications, but perhaps this is some food for thought: how are the workings of your nervous system--automatic responses, your fight/flight/freeze responses, your stress, sleep, energy, tension, breath, resiliency--tied to society and histories of trauma? Despite all this talk though of trauma, which is indeed an Aquarian theme, this New Moon is quite sweet. This is an opportunity to reflect on and heal from trauma in a supportive environment. It’s also an opportunity to begin anew. To consider our hopes for the future, to make new connections, make new friends, and start or join new organizations. As Mars, The Warrior visits Eris, Goddess of Discord, (exact conjunction February 3rd) who knows the pain of exclusion more than anyone, we are shown the fierce vitality of one who speaks up against the status quo, and faces enormous resistance and shaming and ostracism from those who seek to maintain their hold on undue power. But Mars offers courage and strength and support to Eris, sparking action against the powers that be. In the next days, Mars will leave Eris to approach Uranus (conjunction exact February 12th) (modern ruler of Aquarius) the weirdo, genius, loner, rebel, queer, who also knows exclusion well. And together they will fire up our will to fight for a better world; one that respects and supports individuals, and sees how affected we are by our society, and so seeks to create a supportive society, that is fair and just, and serves us all. Mars conjunct Eris as well as Uranus can be channeled for good. But as with all astrology, if we don’t put the energy to good use, it has a way of showing up in more troublesome ways; these aspects could also spell violence, terrorism, shocks to the system. Nevertheless, it seems to me that this approaching Mars-Uranus conjunction is one last big activation (Aries) of the Uranian revolutionary spirit, calling on us all who want to live in a better world, inspiring us, lighting the spark (Aries), preparing us for when Uranus slips into Taurus in March, and we step up the fight for Earth, housing, food security, and a more just financial system. Mercury enters Pisces on the 10th, Mars enters Taurus on the 14th, the Sun enters Pisces on the 18th, the Virgo Full Moon is on the 19th, and Mercury enters its retrograde shadow (the degree is will retrograde back to), on the 19th. Venus is also in Capricorn now (as of February 3rd). This means we are moving from a period with many planets in fire and air (yang) signs, to more earth and water (yin) energy, as well as from a period in which all the planets are in forward motion, toward Mercury retrograde. So, just a heads up, we have another couple weeks of forward and outward moving energy, before things slow down and support more reflective, introspective work.